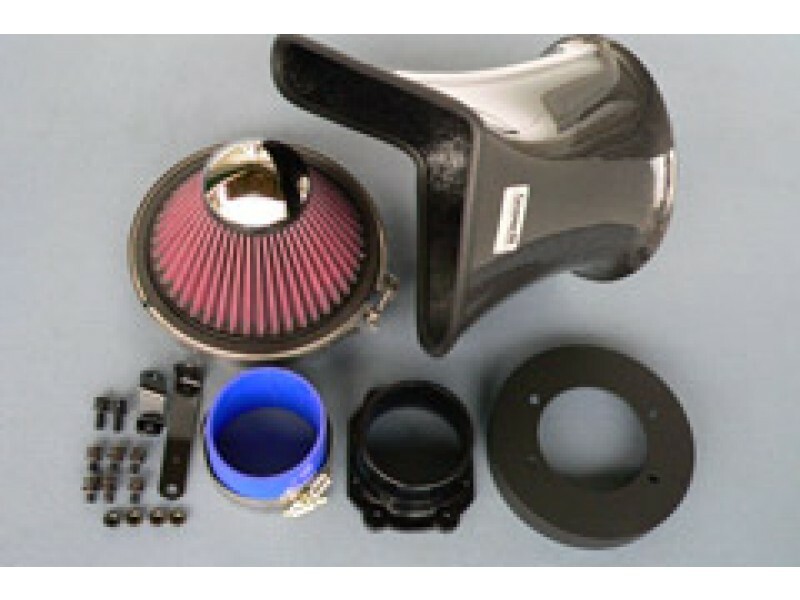 The GruppeM RAM air filter intake system for the BMW Alpina E36 B3 3.0 is made from high quality carbon fiber material specially designed for the BMW Alpina E36 B3 3.0 to increase its engine breathing and performance. 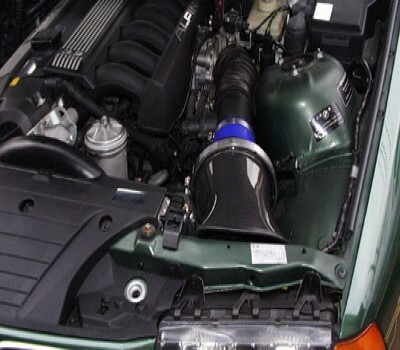 GruppeM has developed the special carbon duct case for BMW Alpina E36 B3 3.0 RAM AIR SYSTEM while using the maximum space of the BMW Alpina E36 B3 3.0 engine room. The Gruppe-M RAM air filter intake system can stop heat temperature inside engine room and can leads cool fresh air from front section. 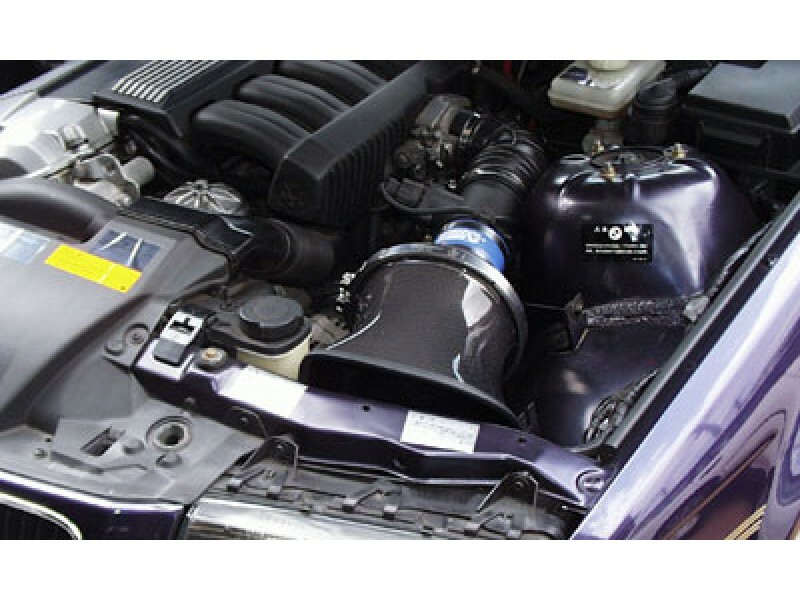 This GruppeM intake can make more torque and increase maximum power from middle range rpm to high range rpm than stock intake and you can feel better accelerate and aggressive intake sound. Genuine GruppeM RAM AIR SYSTEM is mounted with an individual serial number plate on each carbon intake, and management of each of these goods are by this unique serial number. The limited model which pursued total performance. It is exclusive design classified by type of each car with carbon intake duct. K&N four layers wet cotton filter adoption. The maintenance can make long life works. The Gruppe M BMW Alpina E36 B3 3.0 intake kit fitting adapter is designed to fit as a bolt-on design. Beautifully installed to fit flawlessly and neatly as an original component, the carbon fibre duct exudes an overwhelming presence. The kit includes all that's needed to install the Gruppe M RAM AIR SYSTEM into your BMW Alpina E36 B3 3.0, such as adapters, bolts and hoses. Each of the components are of the highest standard in order to deliver supreme performance. * Installation is basically a bolt-on installation. According to the model, detaching the bumper may be required. Add additional tags to the product to help others find the product better. There is currently no reviews, you can add a review below. Only registered users can write reviews. We provide shipping world wide on all products via our online store. Best prices guarantee, if you find a better price advertised we will match or beat it! Our online store prices provides are in Australian Dollar (AUD). Subscribe to our mailing list and always be updated with the latest news from our team. Create an account to get the latest news on all discounts and products, view order history and order updates. XPOSED is an official GruppeM distributor located in Sydney, Australia that specialize in carbon fiber intake systems, exhausts, brake kits and more.